As part of creation of a wishlist you will be signed up to receive updates from time to time via email about Infinity Cruises. You can unsubscribe at any time to these. By signing up, I agree to Infinity Cruises’s Terms of Service. 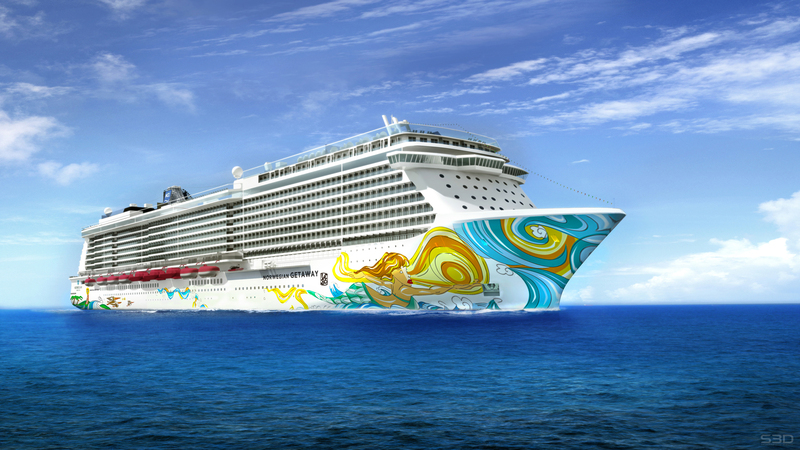 NCL’s latest additions, the Breakaway & Getaway will reinvent cruising once again. 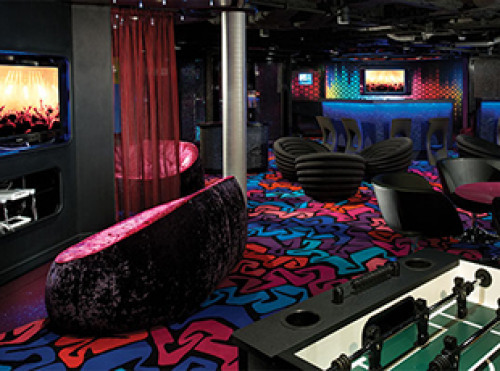 The 4000 passenger ships feature many exciting entertainment options &amazing nightlife.The Getaway begins sailing in February 2014. Norwegian Getaway passengers tend to be Mixed Ages and International. When all cabins have double occupancy, the ship provides a space ratio of 36.4 tons per passenger and a crew to passenger ratio of one for every 2.3 passengers. At full capacity the space ratio is 36.4 tons per passenger and the crew ratio is one to 2.3 passengers. Enjoy a four-course meal and a great bottle of wine. Or grab a burger hot off the grill. Dress up. Dress down. Sit with your friends or make new ones. Dine inside or oceanside along The Waterfront. Norwegian offers the freedom and flexibility of Freestyle Dining, which means no fixed dining times or pre-assigned seating. 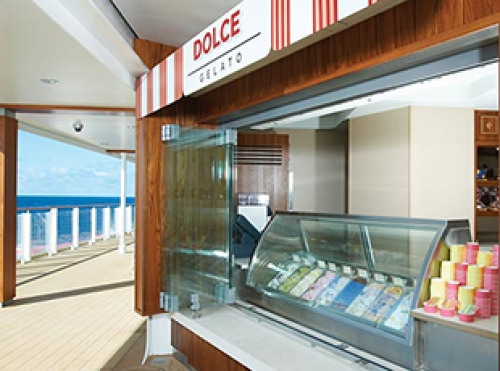 With expert chefs cooking with only the freshest and finest ingredients, you can enjoy more delicious dining options than days of your cruise – whenever you like. So follow your mood, not a schedule. You won’t believe your eyes or even your ears. 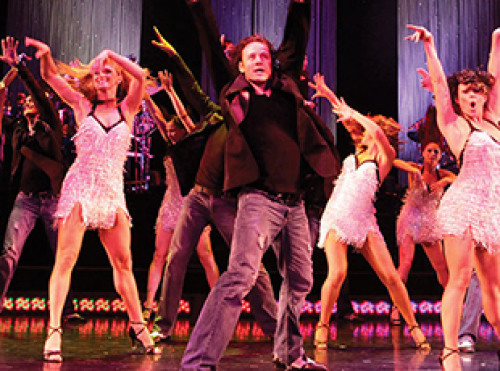 Norgwegian Cruise Lines have brought Broadway to sea with blockbuster shows, music, dancing, cabaret, comedy and more. You can party all night, grab some great casino action and find your favourites among up to 22 bars and lounges, from electrifying nightspots to cosmopolitan bars and easy-going pubs. Every night is a night on the town. Feel free to follow your spirit, whether that takes you to a superb fitness centre, a sun lounger by the pool or to the serenity of a luxurious spa. Get the adrenaline soaring by conquering the climbing wall or ropes course high above the ocean. Flex your muscles on the sports court or treat yourself to something special in the boutiques. Catch a fun, informal lecture. 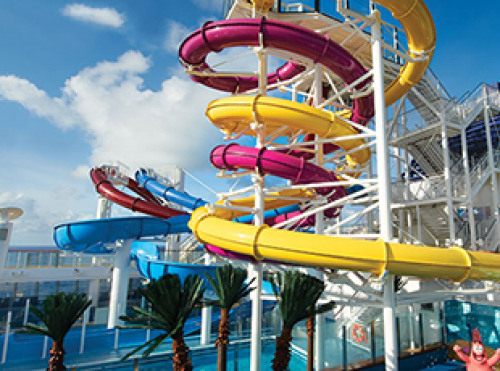 Take the plunge in the Aqua Park. Families play better together on Norwegian. From dodgeball to cupcake decorating, there are lots of activities all over the ships. Plus, with complimentary youth programmes, kids can learn to juggle at Circus School in Splash Academy and teens have the coolest themed parties in Entourage. Add exclusive NickelodeonTM entertainment at sea for kids of all ages – even the grown up ones – and your family holiday gets awesome. While the kids are having fun, so can you, indulging in a spa treatment, enjoying a leisurely meal or just switching off. And when it comes to bedtime, family-friendly accommodation gives everyone the elbow room they need. Night, night. *	Would you like to be kept updated on our special events, news and offers? Yes please, I would like to receive emails about your special events, news and offers.